Meridian Films Pty. Ltd. 1991. Director: John Ruane. 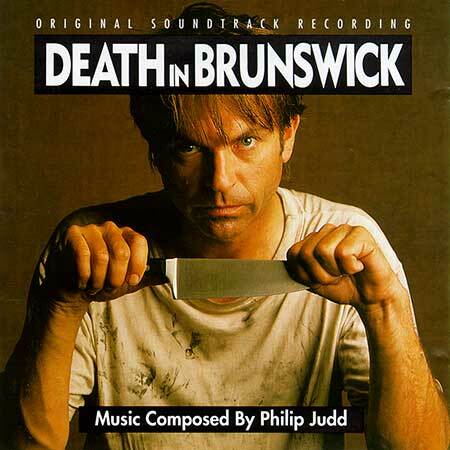 Music: Philip Judd. CD	(ST)	Alhambra (Germany). A 8933. (DDD). 1991. 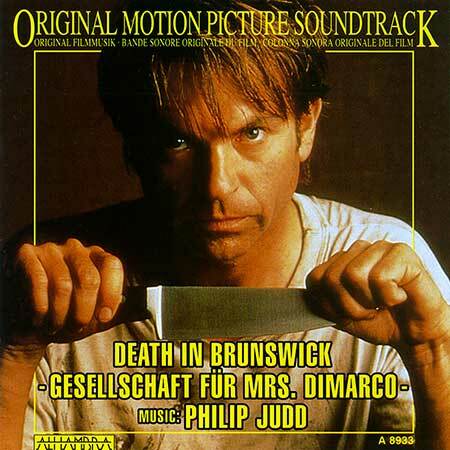 “DEATH IN BRUNSWICK - GESELLSCHAFT FUR MRS. DIMARCO”. All tracks Composed by Philip Judd except * Composed by Peter Volaris. Produced by Philip Judd. Recorded and mixed by Chris Corr. Jen Anderson - Violin, Viola. Joe Chindamo - Accordian. Euripides Euripidou - Acoustic Guitar, Bass. John Barrett - Woodwinds. Noel Crombie - Percussion. Angus Burchall - Drums. Peter Volaris - Accordian. George Srirou - Bazouki. Louis McManes - Acoustic Guitar. Philip Judd - Keyboards, Bazouki, Dobro, Bass & Percussion. Except from Mahler’s 5th performed by The New York Philharmonic, Conducted by Zubin Mehta (courtesy Teldec/Warner). Published by C. F. Peters Corp. All other titles published by Mana Music. Music Co-ordinators - Chris Gough, Rebecca O’Brian. Mahler’s Symphony No.5 “Adagietto”. (Excerpt). Carl’s Third Confession. (Includes Sam Neill film dialogue). CD (ST) East West. 903174188-2. (CA 903174188-2). 1991.